You won’t believe this … it’s another frog ! 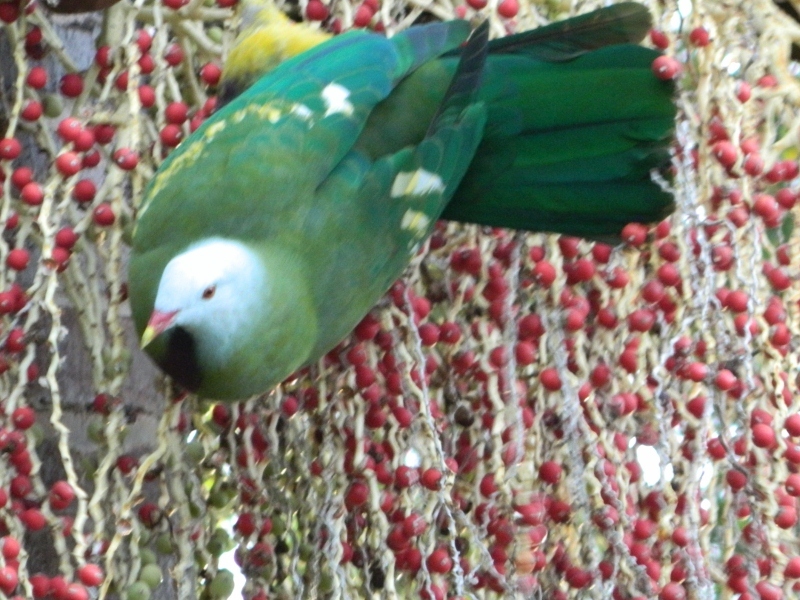 The evening started off well when I spotted a pair of Wompoo Fruit Doves outside my kitchen window, hanging upside down and feasting on the berries of a Bangalow palm. This spectacular bird with purple, yellow and green plumage, also called the Magnificent Fruit Dove, is usually found in rainforests so I was thrilled to see them in the garden. They make a sound like a drain, or a rock being thrown into water. If you Google “wompoo” you will find better photos than I was able to take. 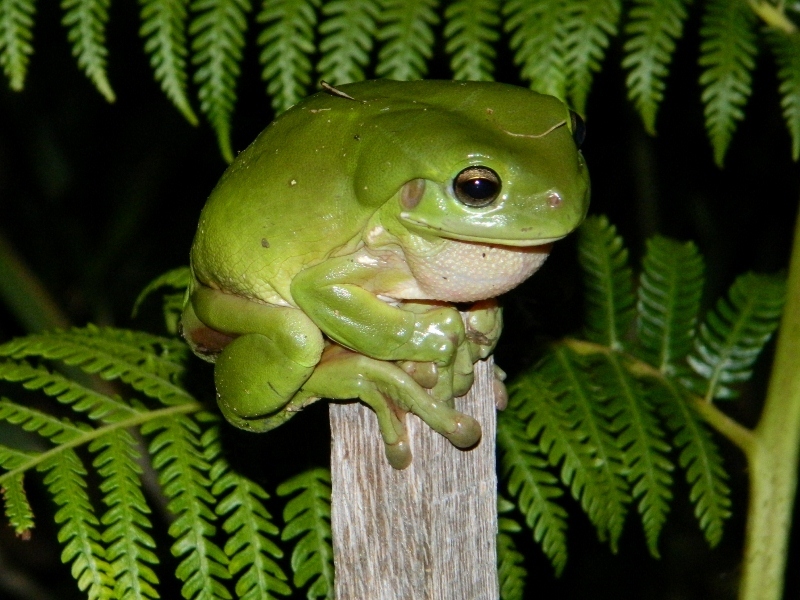 Then I heard the unmistakable call of the Common Tree Frog – also known as the Dunny Frog for its fondness for sitting just under the rim of toilet bowls. (Quite disconcerting if you are not expecting it!) It is one of Australia’s largest frogs, and can often be found in drainpipes where it uses the acoustics to project its mating call. They have been known to live up to 20 years, so maybe it will be around for a while (hopefully not in my drainpipes). Then … the drought broke, and it started to rain. As I left the pond I counted five Dwarf Tree frogs, two Red-Eyed Tree frogs, one Common Tree frog, and one Smooth Toadlet all singing their version of the Halleluiah Chorus.